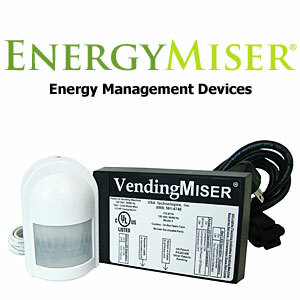 Join the thousands of corporations, colleges and universities, school districts, government facilities, retail stores and hospitality properties that conserve energy cost and preserve the environment with our line of energy control products for cold beverage and snack vending machines and other electronic devices. Click on product name for details and information. 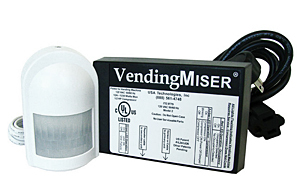 When equipped with the VendingMiser, refrigerated beverage vending machines use less energy and are comparable in daily energy performance to new ENERGY STAR qualified machines. 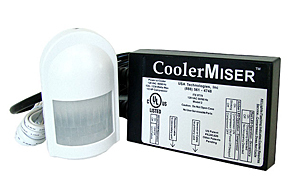 With CoolerMiser, you can achieve maximum energy savings, resulting in a reduction in both operating costs and greenhouse gas emissions. Its energy-saving technology is incorporated into a small plug-and-play powerhouse that installs in minutes. 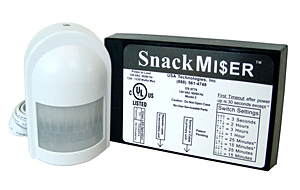 With SnackMiser, you can achieve maximum energy savings that result in reduced operating costs and decreased greenhouse gas emissions with your existing machines. 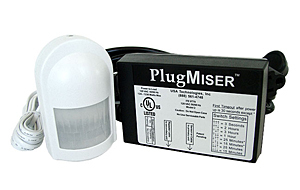 PlugMiser saves energy on all types of plug loads, including arcade games, computer monitors, task lights, radios, copiers, personal printers, space heaters and more. It's invisible to the user and it installs in minutes with a universal mount. Case Study: For Food Retailers, LEDs Light the Way to Energy Savings, Higher Sales - A significant increase in utility rebates, a steady rise in electricity costs and the Obama administration's funding earmarked for energy-efficiency projects makes it the best time for food retailers to upgrade to LED lighting in the U.S., according to a white paper from Nualight Ltd.